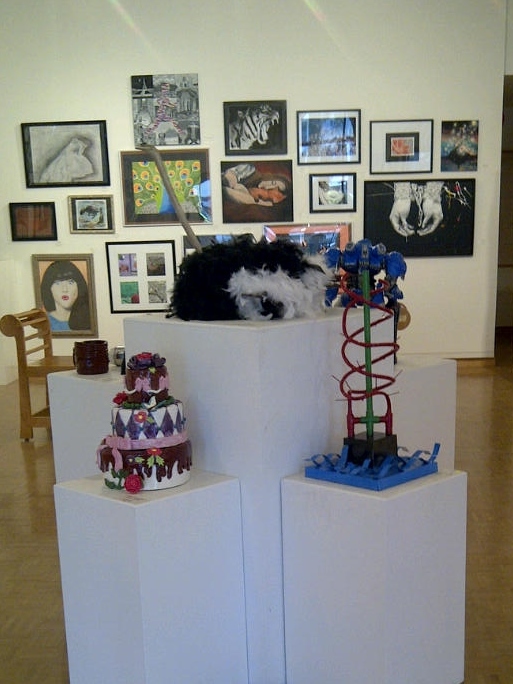 I recently had to opportunity to get a glimpse of the creativity of some our local youth by exploring the Student Show at the Blyth Festival Art Gallery. I have to admit, I was blown away by the talent that these young people possess. It was amazing to gain a little insight as to what inspires these people. The art that is on display is full of detail and I admired a lot of the techniques used. There were paintings, photography, works of mixed media and other genres of art as well. 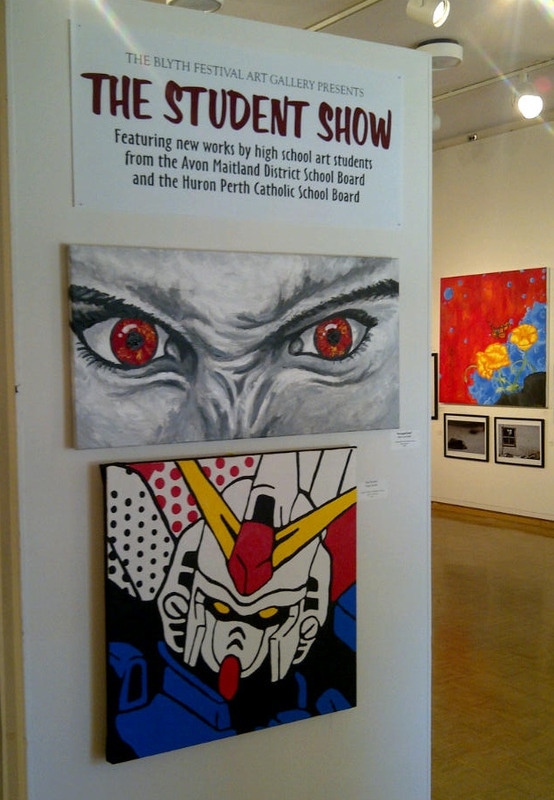 The artists are from various secondary schools within the Avon Maitland District and Huron Perth Catholic School Boards. Some of the pieces are for sale and this is a free event. Definitely worth checking out. The Blyth Festival Art Gallery co-ordinates three professional juried exhibitions, a community art show and a secondary school student exhibition each year in the Bainton Gallery which is located in the Blyth Memorial Community Hall beside the Blyth Festival box office. The Gallery is open to the public during Festival business hours and has been operating under the guidance of an extraordinary group of volunteers since 1976.